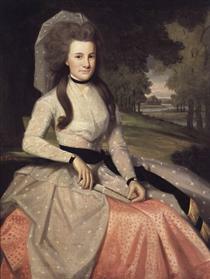 Ralph Earl (May 11, 1751 – August 16, 1801) was an American painter known for his portraits, of which at least 183 can be documented. 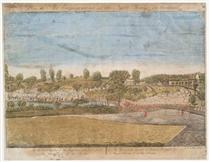 He also painted six landscapes, including a panorama display of Niagara Falls. Ralph Earl was born in either Shrewsbury or Leicester, Massachusetts. 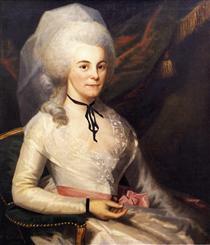 By 1774, he was working in New Haven, Connecticut as a portrait painter. 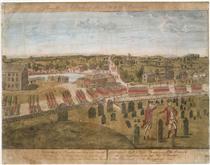 In the autumn of 1774, Earl returned to Leicester, Massachusetts to marry his cousin, Sarah Gates. 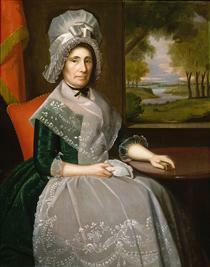 A few months later, their daughter was born; however, Earl left them both with Sarah's parents and returned to New Haven. 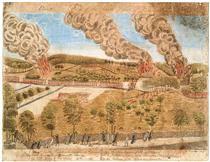 Like many of the colonial craftsmen, Earl was self-taught, and for many years was an itinerant painter. 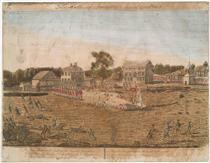 In 1775, Earl visited Lexington and Concord, which were the sites of recent battles in the American Revolution. 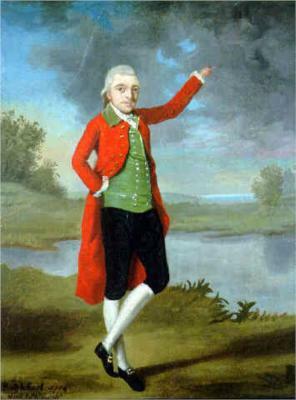 Although his father was a colonel in the Revolutionary army, Earl himself was a Loyalist. Working in collaboration with the engraver Amos Doolittle, Earl drew four battle scenes that were made into pro-Revolutionary propaganda prints. In 1778, he left behind his wife and daughter and escaped to England by disguising himself as the servant of British army captain John Money. 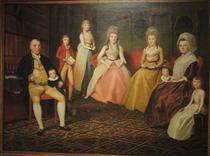 In London, he entered the studio of Benjamin West, and painted the king and many notables. 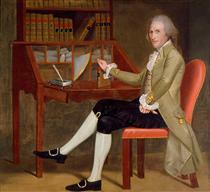 Earl continued painting portraits in the town of Norwich. 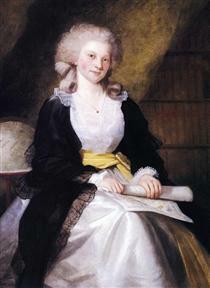 He later married Ann Whiteside, an English woman, despite the fact that he had never ended his marriage with Sarah Gates. 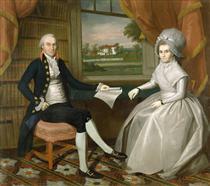 In 1785 or 1786, Earl returned to the United States with his new wife. 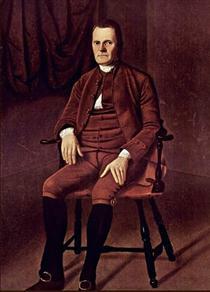 After his return to America, he made portraits of Timothy Dwight, Governor Caleb Strong, Roger Sherman, and other prominent men. He also painted a large picture of Niagara Falls. In September 1786, while living in New York City, Earl was imprisoned for failing to pay his personal debts. Even while in jail, he drew portraits of his visitors, friends, and family of the Society for the Relief of Distressed Debtors. He was released in January 1788. 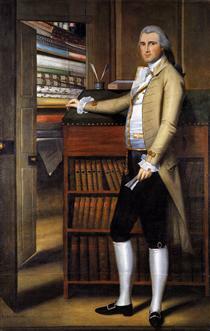 Earl probably trained his son, painter Ralph Eleaser Whiteside Earl, and was an influence on his nephew Augustus Earle who is reputed to have been the first European artist to have visited all five continents. 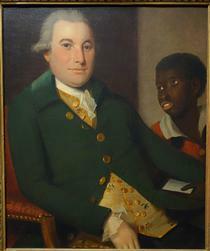 Ralph's brother James Earl (1761–1796) also was a portrait painter. 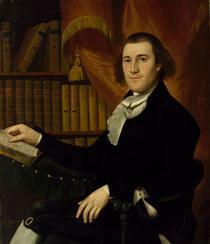 He died in Bolton, Connecticut, on August 16, 1801. Alcoholism is believed to be the main cause of death. Earl was also an influence on John Brewster, Jr.